Don’t get me wrong I like a Sephora haul just as much as the next girl, but there’s something about wandering down the aisles of your local drugstore and finding a beauty find at the fraction of the cost that also gets me really excited. 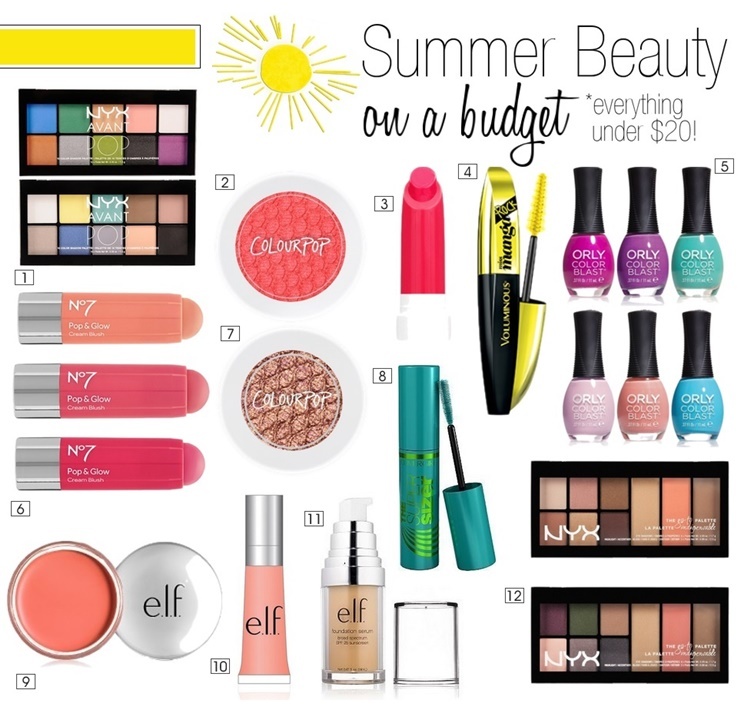 From on-the-go palettes, to shimmery eyeshadows, and pop and glow blushes - here are my budget-friendly beauty picks that won’t break your summer bank. I would like to have number 1 and 6!